The TW1 postcode covers the area of Twickenham and East Twickenham. It neighbours on Isleworth in the North, the TW2 portion of Twickenham in the West, Teddington in the South and Richmond in the East. Approximately 50% of the population here is in the 18-44 age bracket and as such it is largely a postcode of young professionals. Many of them commute to Central London but also to Richmond which has a surprisingly substantial amount of businesses and offices. The average income is considerably higher in TW1 compared to the London average with some 75% of local residents describing themselves as associate professionals, professionals, managers or directors. Twickenham also happens to be the home of English Rugby. The famous Twickenham stadium can be found on the border between TW1 and TW2. As such it well connected with the South Western Railway and many buses heading both East to Richmond and North towards Hounslow. The north corner of TW1 Chertsey Road mostly consists of roads with terraced houses and an occasional street with some semi-detached properties. It is an area that is very easy to deliver to. There are basically no stairs, apartment blocks or large industrial or business areas. These are typically the types of things that make distribution particularly difficult in some parts of London. Especially in the E and SE postcodes. This part of Twickenham is almost entirely free of the these difficult to deliver places. It is also not the most affluent part of the postcode with families and young professionals both living here. The area West of London road is located a little closer to Twickenham Stadium. It has more parking lots, industrial and business areas and blocks of flats. This is one of the areas that is not as leaflet responsive as some of the other parts of TW1. As such we exclude some roads here to make sure that we get the best value out of each leaflet we deliver for you. South of the Twickenham station we will find some of the most affluent households in this part of London. This part of TW1 basically goes all the way down through Strawberry Hill to Teddington. As such it is full of green spaces, waterfront properties and large town-houses. St. Mary's University can also be found here. This area does bring some challenges to our leaflet distributors but through thorough mapping of the area we have developed a reliable distribution system here. This is worth the effort especially due to the types of households that can be reached here. Anyone looking to target affluent households in South London needs to be looking at including Strawberry Hill in their campaign. The areas West and South of St. Margaret's station is are full of solid middle class households with properties ranging from terraced houses to large detached town-houses. Some of the larger green areas in TW1 can also be found here. Marble Hill Park or Orleans Gardens are some of the most impressive ones. Some of the most interesting culturally significant and historical buildings can also be found here. 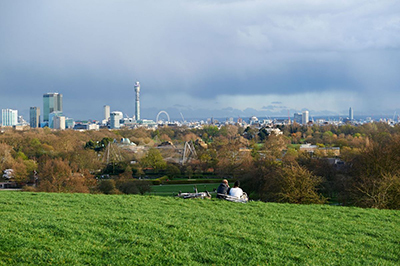 As such it is one of the best areas for leaflet distribution in London and as such is recommended for anyone looking to run a campaign in South London.